Russian-backed militants have shelled the village of Krymske in Luhansk region, as a result of which a civilian has been wounded. Chairman of Luhansk Regional Military and Civilian Administration Hennadiy Moskal announced this. 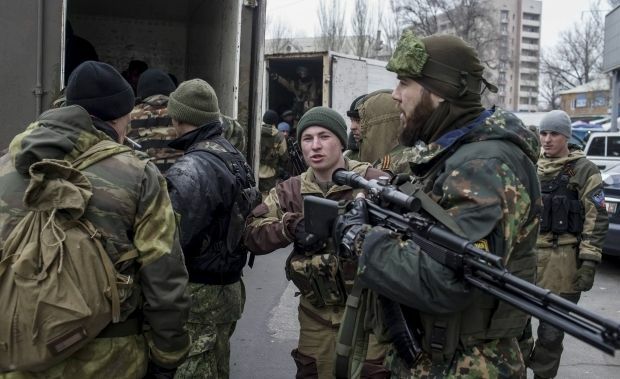 Shortly after 1500 Kyiv time on Friday, the militants who were hiding in the village of Sokilnyky, opened fire on Krymske from mortars, after which a close combat began near a TB dispensary on the outskirts of the village. One of the mortar shells exploded in the courtyard of a house and shrapnel wounded the male owner aged 40. According to preliminary reports, his wounds aren't severe; he is being given first aid. After dinner, an international organization brought humanitarian aid to the village of Krymske; however, as soon as the first batch of goods reached in the village, shelling began again. The convoy of aid running along the only road leading to Krymske immediately stopped. Traffic will be resumed by Ukrainian military and local farmers as soon as the situation allows, according to the administration.